Strong fund flows and hunt for yields are driving the S-REITs sector. Valuations are creeping up, but S-REITs still offer the highest yields globally among REITs. S-REITs are now trading at a 360bps yield spread to the Monetary Authority of Singapore’s 10-year bond yield, a slight premium to the 10-year average mean of 400bps. Similarly, in terms of P/BV multiples, S-REITs are trading at 1.1x P/BV vs the 10-year mean of 1x P/BV. While valuations are now closer to +1SD levels, we note that S-REITs still offer the highest absolute yields and yield spreads among REITs globally. In addition, S-REITs are also well supported by the favourable demand-supply outlook across most of the sub sectors. The dovish interest rate outlook has also mitigated the threat of a sharp spike in interest costs, which could have impacted DPUs. Prefer small-to mid-cap REITs, which are lagging. Based on our analysis, small-to mid-cap REITs (defined by a market cap of < USD2bn) returned a 1% increase in share price over the last six months, as compared to large-cap REITs ( > USD2bn), which returned +9% over same period. The small-to mid-cap REITs are currently trading at 0.9x P/BV, at a c.20% discount to the multiple of large cap and offer c.6.8% yield on average (150bps higher). are all within these parameters – we are largely neutral on large-cap REITs. Our preference stays on industrial and hospitality REITs. Our preference stays on industrial REITs and hospitality REITs, on the back of favourable demand-supply dynamics and valuations. While office rents have been on a steady uptrend, the positive effects are likely to be seen in DPU only in late 2019 and seem to be largely priced in. While retail REITs have remained steady despite challenges, the opening of three large malls this year could pose some pressure. We recommend investors to buy on dips retail REITs and office REITs. A change in the interest rate outlook from dovish to neutral or hawkish, worsening of the US-China trade tensions impacting Singapore’s export driven economy and fund flows out of yield stocks. About 2.9m sqf or c.1m sqf pa of industrial supply is expected to come on-stream over the next three years, which is just about half of the industrial supply that came on-stream over the past three years. Manufacturing PMI has slowed in recent months, with electronics demand showing weakness on the back of a slowdown in tech demand. Other industrial sectors – such as transport engineering and biomedical manufacturing – are still seeing positive y-o-y growth. Overall, we still expect occupancy to remain relatively stable this year and expect a 2-5% growth in industrial rents. The impact from trade tensions between the US and China has caused some drag down effect in industrial leases, with longer lead time and downsizing in some segments. Our base case view considers this a temporary phenomenon, with an industrial growth momentum likely to be sustainable in 2019. Among sub-segments, our preference remains for business & science parks and the high-tech industrial segments, which are likely to benefit from a government push to transform Singapore into a smart nation. The logistics sector is likely to be a late recovery play 2019, with demand-supply likely to find equilibrium later this year. Among stocks under our coverage, ESR-REIT (SGX:J91U) and CACHE LOGISTICS TRUST (SGX:K2LU) are our preferred industrial REITs in this sector. While demand has remained relatively steady over the last few years, the high growth in hotel supply has been pressuring the sector with lower room rates. However, with supply expected to slow sharply between 2018 and 2020 to c.1.3% pa and demand expected to remain steady, the sector is well-positioned for its long awaited recovery in 2019. Key catalysts for demand include upcoming tourist attractions, incentives, conferencing & exhibition pipeline, Changi airports growing prominence as a regional aviation hub and the Singapore Tourism Board (STB) marketing initiatives. STB also recently announced that Singapore will play host to a sizeable number of business events from 2019 and beyond, with several of these events secured being inaugural editions. In particular, there are more business events from the professional services, technology, and food & beverage clusters. Such events will help Singapore bolster its reputation as a leading world-class business events destination. In 2019, we expect hotel occupancy to remain healthy in the high 80% and room rates to see a 3-7% increase. CDL HOSPITALITY TRUSTS (SGX:J85) is our preferred pick for the hospitality REITs sector. While Grade-A office rents have climbed c.17% from the bottom, Office REITs have yet to see the full positive impact as most of the expiring rents were signed during the previous peak and thus still were above current market rents. Moving into 2019, we believe this rental gap has narrowed, and office REITs are likely to experience largely positive rent reversions. Office supply outlook for 2019 is also favourable with just about 1m sqf (c.1.3% of stock) expected to come on stream. Additionally, a few office assets will be taken off the market for upgradation in 2019, among them Chevron House and Shaw Building. The positive effects of the above are likely to be seen in Office REITs from 2H19. Consequently, late 2Q19 might be an opportune time to re-enter the sector provided valuations are attractive: ie less than 1x P/BV. Despite a challenging environment, retail REITs managed to deliver a stable performance in 2018, with mall occupancy and rentals remaining stable. However, the outlook for the sector remains challenging with three big malls – Jewel Changi Airport, Funan, and Paya Lebar Quarter – expected to open. Fast changing consumer trends, rising e-commerce and recent exit of popular fashion brands are also expected to add more pressure on the sector. Overall, retail rents are expected to remain sluggish in 2019 (-2% to +2%) with malls with stronger attributes (location and catchment population) outperforming the weaker strata malls. The clarifications on tax transparency treatments surrounding existing tax structure has been a positive development and resulted in investors’ interest back into the US-based S-REITs. Based on the latest announcements, no changes are needed to the existing REIT structure as a result of the US Tax regulations. 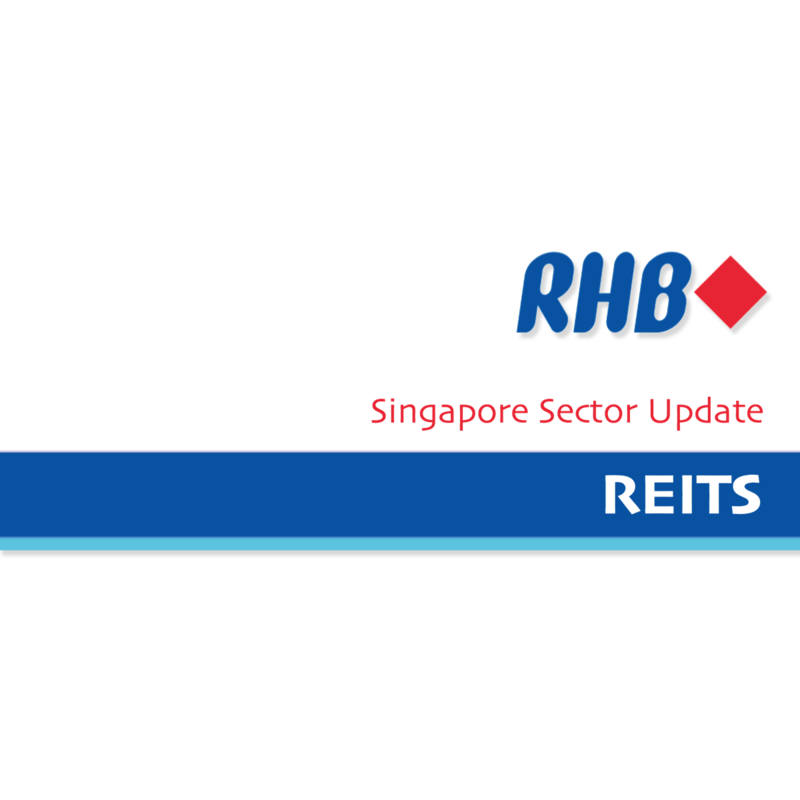 We remain bullish on the US-based office REITs listed in Singapore, as they offer exposure to a market which is benefitting from a strong rebound in the US economy and are still trading at attractive valuations.